Roger continues to support Relay for Life. 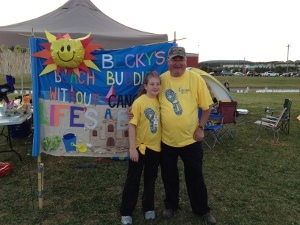 All funds raised from the Outatime t-shirt donations are presented to Becky's Relay for Life team. Roger is an active member of the team. Becky is now 17 years old and continues to be cancer free.